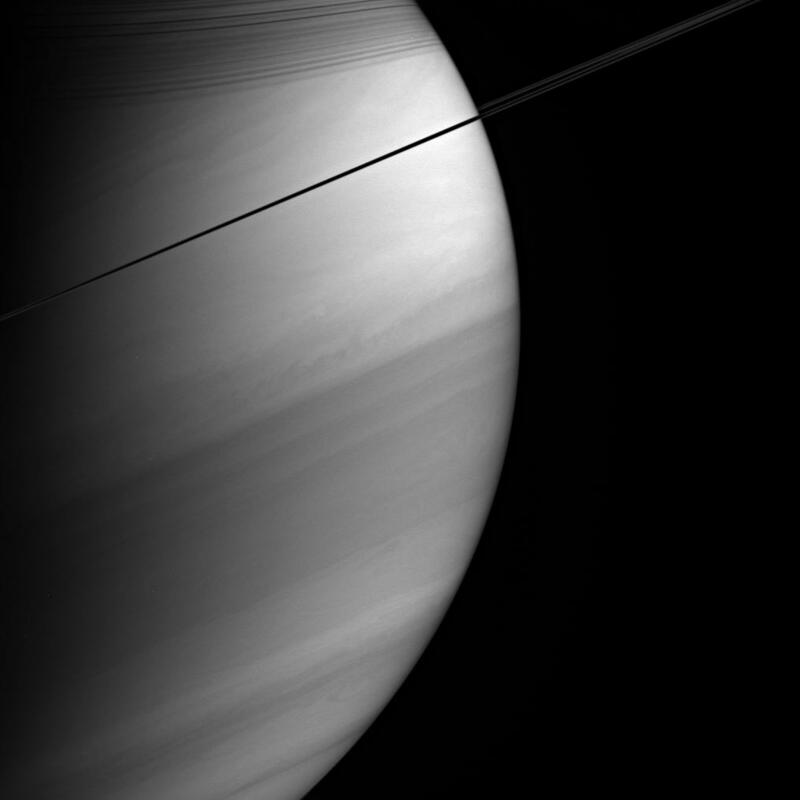 Viewed nearly edge-on, Saturn's rings appear dark and pencil-thin against the backdrop of the planet's swirling clouds. 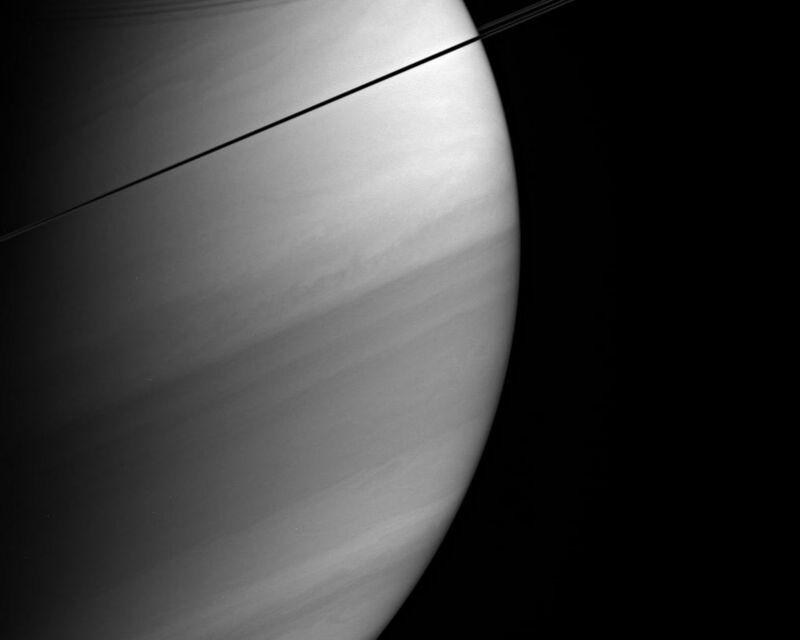 Notable here are the shadows cast by the rings onto the northern hemisphere, as well as details of the banded atmosphere, such as the bright equatorial region. The image was taken with the Cassini spacecraft wide-angle camera on Feb. 18, 2005, at a distance of approximately 1.2 million kilometers (746,000 miles) from Saturn through a filter sensitive to wavelengths of infrared light centered at 727 nanometers, where gaseous methane absorbs. 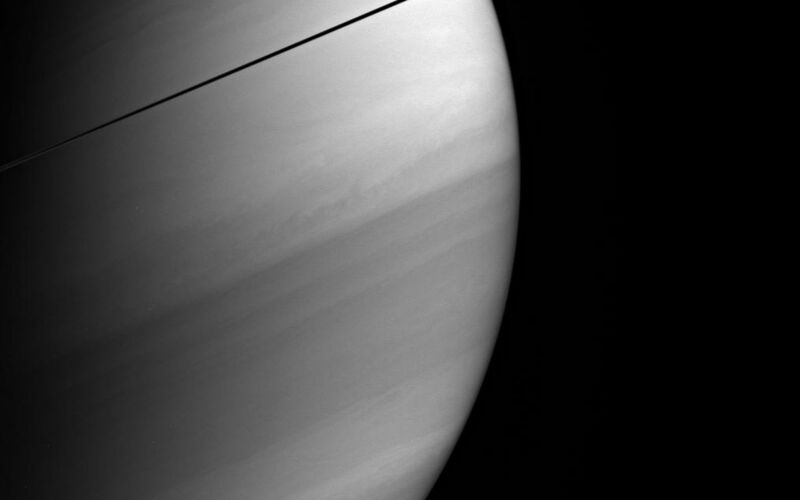 The image scale is 67 kilometers (42 miles) per pixel.